Study exothermic and oxidation-reduction reactions with ease. This reaction demonstrates the reaction of acetylene and chlorine to form hydrochloric acid and carbon. 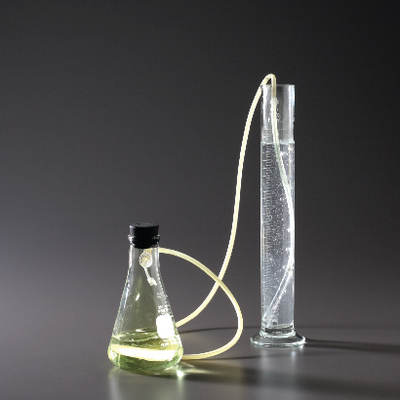 This dramatic demonstration of a spontaneous reaction also generates light as a product.